A boat is a vehicle of any size that is used for traveling on water. Usually refered to as one smaller in size. A ship is a large boat used for traveling long distances over the sea, and also a large airplane or spacecraft. Also, the use of the terms depends on the region.People from several countries often refer to a medium sized fishing vehicle as a boat, or a medium sized ferry or recreational boat as a ship. Read the boat types and descriptions and match the boat to the picture. 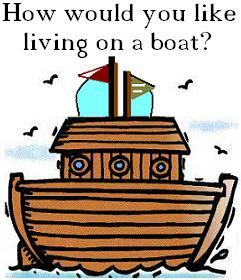 Rowboat: a small boat that is moved through water using oars. Canoe: a long narrow boat that is pointed at both ends and that is moved by a paddle. Cruise liner: a large comfortable ship that people travel on vacation trips. Freighter: a large ship that is used to carry goods, usually across the ocean. Galleon: a large sailing ship used in the 1500s and 1600s. Houseboat: a boat that is also used as a house. Motorboat: a boat with an engine. Sailboat: a small boat that the wind moves by pushing its clothes sails. Steamboat: a boat that is powered by steam. Warship: a military ship that has many weapons and is used for fighting in wars. Have you heard of the Mississippi River? How much do you know about it? Take a quiz and discuss your choices in small groups or with a partner. 1)The length of the Mississippi River is approximately: 2,730 km - 3,730 km - 4,730 km. 2)It lies in: four – six - ten US states. Complete the missing terms in the text with a word from the list below. Then, listen and check your work. During the 1800s, the Mississippi River was crowded with steamboats. The river divided the United States in (1)......................, separating the older, more populated eastern states from the West. Steamboats (2)......................... goods and people up and down the waterway. But only a few such (3)............................. can be seen there today. This month marks the 40th year one of them has been operating on the mighty Mississippi. Steamboat Natchez was built in 1975. The Natchez is made mostly (4)....................... steel. Its steam engines came from a boat that was built in 1925. Today, the Natchez carries (5)................................. who want to learn what life was like in the 1800s on the Mississippi River. In those (6)......................... , the arrival of a steamboat was announced by a steam-powered organ, called a calliope. Clarke Hawley is 79 years old. He is known as “Doc.” He was the first (7)............................ of the Natchez. Doc Hawley is now retired. But he still (10).............................. on the boat as the calliope player. Doc Hawley says this is how life was when many steamboats sailed up and (22)......................... the river. Waterway: n. a course of water, like a river. Barn: n. a rustic construction in a farm used for keeping animals, grains, storing tools, etc. Saw: v. to cut or shape (wood, metal, etc.). Grind: v. to reduce to powder or small fragments by friction. What would be the pros and cons of living on a boat? What do you think would be challenging about it? Which habitual things would and wouldn’t you be able to do? Contrast with your daily routine. Would you do it alone? When? What’s the best time of life to do something like this? Why? For how long would you do it? “Twenty Eight Feet: Life on a Little Wooden Boat” directed by Kevin A. Fraser is a short documentary about a young man from Nova Scotia who has given up his apartment, car and cell phone to live and travel the world on a wooden boat. A)Watch the video and compare your answers to the previous exercise to David’s experience. What was/is difficult for him? What are the things he enjoys, doesn’t enjoy, has, doesn’t have, etc..? B)Watch again and say whether the statements below are True or False. 1.When David was a kid, he used to build tree houses. 2.He takes “a bath” every other day. 3.He doesn’t date or have a “significant other”. 4.His father gave him a knife and taught him how to use it. 5.Money is a problem for David. 6.He raises naturally with the sun. 7.He’s a bit of a loner. 8.Before living on the Lizzy Belle, he never saw the sun come up in the morning. 9.His first trip alone was around the Bahamas. 10.He makes sure he eats meat every day. 12.He doesn’t have definite plans about where to travel to in the future. bow: the forward part of a ship. stern: the backward part of a ship. port: the left part of a ship, looking forward. starboard: the right part of a ship, looking forward. mast: the central pole in a sailboat. 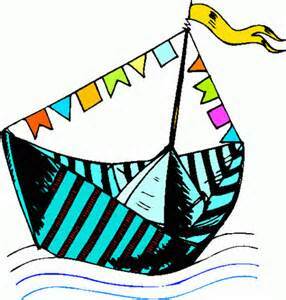 sail: a large piece of cloth used to catch the wind that moves the ship or boat through the water. rudder: a flat, movable piece usually of wood or metal that is attached to a ship, boat, airplane, etc., and is used in steering. anchor: a heavy device that is attached to a boat or ship by a rope or chain and that is thrown into the water to hold the boat or ship in place. oar: a long pole, flat and wide at one end, used for rowing. beam: the widest part of a ship. draft: the depth of water a ship has. I)Match the two halves of these sentences to find the meanings of the idioms. a) you are in a bad situation that has no solution and will suffer the consequences. b) you are a newcomer or gullible and naive. c) you deal with it easily. d) you grab the opportunity. e) you commit to a destination ahead or course. f) you miss a good opportunity by acting too slowly. g) you learn to do something new. h) you’re taking a long time to do or get something. i) you accept any solution. j) you make them less confident or humiliate them. k) you are clear that the time has passed or the opportunity is lost. l) you are close to doing something illegal or saying something improper. m) you are in the same situation or having the same problem. n) you disturb a stable situation. p) you do too much or be extravagant. II)Exercise: Complete the blanks with words missing from the idioms above. A.These may be difficult times, but we’re all ................. boat. We can get through it together. B.She seems just .................boat. She doesn’t get any jokes. C.We can have a nice, quiet party, don't go ................... It doesn't need to be fancy. D.I can’t become a ballerina at 30. That ship ……………………..! E.We are on a slow ......................., this line is not moving. F.You'll .........................if you don’t study now that you’re young. G.Everything is fine here as it is, don't .......................boat! H.Why did you say that to poor Cate? You knocked .............................of her sails, she felt embarrased. I.I’ll get the new client, don’t worry. That ship is………………………..
J.If you want to go camping, you should! Whatever …....................boat. L.I know I made a mistake forgetting our anniversary but you are not ging to make me walk ..........................., right? M.In this situation, anything is better than nothing. It’s …....................in a storm. O.It’s an easy game tomorrow. We’ll sail ......................it. P.Watch your language young lady, that’s sailing close ........................! Use the clues below to complete the word game. 3. A small boat that is moved through water using oars. 5. If you miss it, you miss a good opportunity by acting too slowly. 7. The piece used in steering a ship. 9. A heavy device attached by a rope or chain and that is thrown into the water to hold the boat or ship in place. 12. The back part of a ship, opposite of bow. 13. A boat used to carry people and things for a short distance between two places. 14. The central pole in a sailboat. 1. A boat that is also used as a house. 2. Another word for port. 4. Leader of a ship. 6. The group of people who operate a ship. 8. If you go there, you are doing too much. 10. A ... liner, a large ship that people travel on vacations. 11. The depth of water a ship has and also a rubber boat. 12. Large pieces of cloth used to catch the wind that moves the ship or boat through the water (pl). If you miss the boat, you miss a good opportunity by acting too slowly. If you sail through something, you deal with it easily. If you knock or take the wind out of somebody’s sails, you make them less confident or humiliate them. If you go overboard, you do too much or be extravagant. If you are forced to walk the plank, you are in a bad situation that has no solution and will suffer the consequences. If you say “that ship has sailed”, you are clear that the time has passed or the opportunity is lost. If you say “that ship is in my harbor”, you grab the opportunity. If you sail close to the wind, you are close to doing something illegal or saying something improper. If you are on a slow boat to China, you’re taking a long time to do or get something. If you are just off the boat, you are a newcomer or gullible and naive. If you burn your boats, you commit to a destination ahead or course. 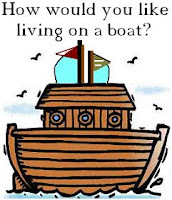 If you rock the boat, you disturb a stable situation. If you learn the ropes, you learn to do something new. If you think or say ‘any port in a storm’, you accept any solution. If you are in the same boat (as someone), you are in the same situation or having the same problem.